Whether your Springdale kitchen remodeling project is a small one or a complete overhaul, it’s always an investment. Improving the aesthetic and functional value of your kitchen is much more than a simple quality of life choice! At JC Plumbing, we understand this value and the need for the remodel to be performed as quickly as possible while maintaining quality in components and workmanship. If you rely on less than professional services or try to approach it as a DIY project, you can be without a functional kitchen for quite some time. 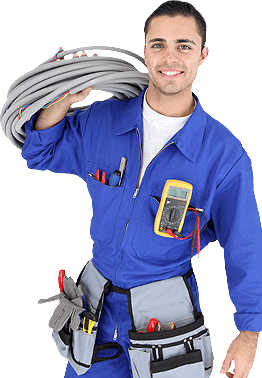 Our Springdale plumbers bring the expertise to get everything installed properly. When planning your kitchen remodel, it’s very easy to miss technical details that can lead to financial heartache. Not letting a professional deal with the installation of a new gas-range stove can mean serious hazards from gas leaks in your home or commercial space. Appliance installation is best left to experts who know exactly how to fit and connect these complex parts. Our philosophy at JC Plumbing centers on honest work for an honest price. Starting with your free in-person estimate, our Springdale plumbers will work with you every step of the way to make sure that your kitchen remodeling project is completed right the first time. Safe installation by our expert team will leave you with the knowledge that you’re not going to have to pay for expensive repairs down the line.